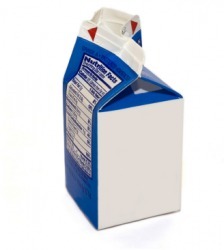 An example of an item is this milk carton. The definition of an item is an article, unit, a bit of news, or is slang for a piece of gossip. An example of an item is a carton of milk. An example of an item is two people who are a couple. "item." YourDictionary, n.d. Web. 21 April 2019. <https://www.yourdictionary.com/Item>. A single article or unit in a collection, enumeration, or series. A clause of a document, such as a bill or charter. An entry in an account. a. A bit of information; a detail. b. A short piece in a newspaper or magazine. Also; likewise. Used to introduce each article in an enumeration or list. To record, especially in an itemized list. From Middle English also, moreover from Latin; see i- in Indo-European roots. Word History: The word item seems to us to be very much a noun, whether it refers to an article in a collection or a bit of information. But it began its life in English (first recorded before 1398) as an adverb meaning “moreover, also, in addition.” Item was typically used in front of each object listed in an inventory, as we might put also. This use in English simply reflects a meaning of the word in Latin. However, it is easy to see how item could be taken to stand for the thing that it preceded, and so we get, for example, the sense “an article included in an enumeration.” The first such usages are found in the 1500s, while the sense “a bit of information” is not found until the 1800s. These nouns denote an individual, often specialized element of a whole: a shopping list with many items; discussed the details of their trip; furnished the particulars of the accident. Tweezers are great for manipulating small items. A line of text having a legal or other meaning; a separate particular in an account. In response to the first item, we deny all wrongdoing. (psychometrics) A question on a test, which may include its answers. The exam has 100 items, each of which includes a correct response and three distractors. A matter for discussion in an agenda. The first item for discussion is the budget for next year's picnic. (informal) Two people who are having a relationship with each other. Jack and Jill are an item. A short article in a newspaper. The word started as Latin item for "also", "in the same manner", and got its present English meaning by people misunderstanding usage in lists where the first entry began "Imprimis" (Latin for "firstly"), and the other entries each started "Item" (Latin for "also"), in former times when most learned people in England knew Latin. A generic word for one unit or one member of a group. Similar to the word "object," when it is not relating to object-oriented programming, an item can be almost anything, including a file or folder. See data item.